I am here with the Second set of Holographic polishes from Nail Nation 3000 March New Launches. Actually i was supposed to swatch the 4 of them together but i really liked "Holo in the Bad Lands" so much that i had to swatch it first. Anyway the 3 remaining shades are Freak Sauce, summer berry sorbet and Board Walk Empire. Freak Sauce is a red based tangerine holo polish. 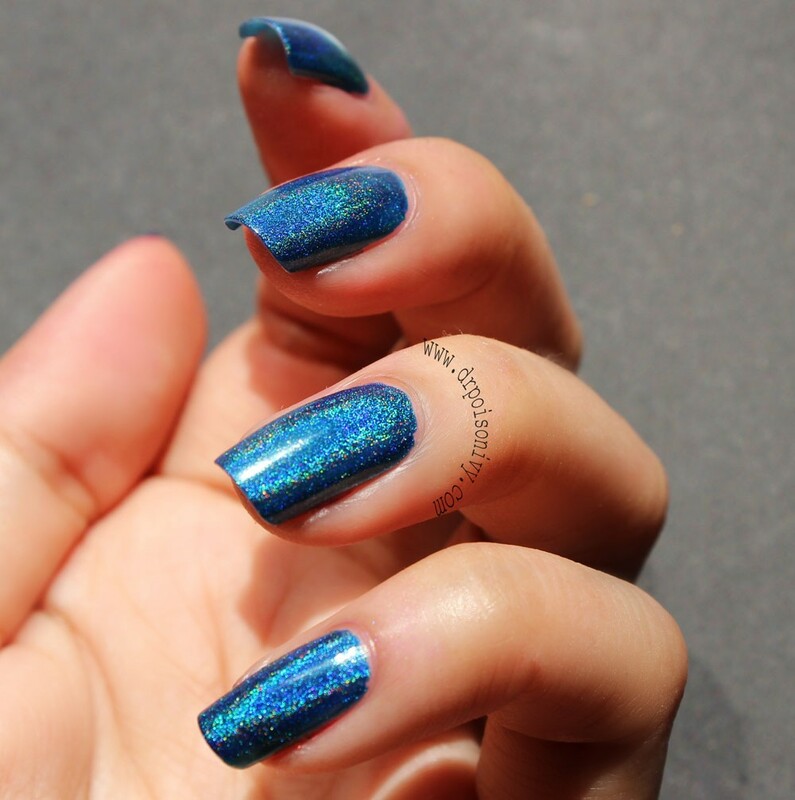 Don't let the name freak you out as it sets into a warm holo color and will suit anyone. This shade somehow reminds me of Indian Brides. 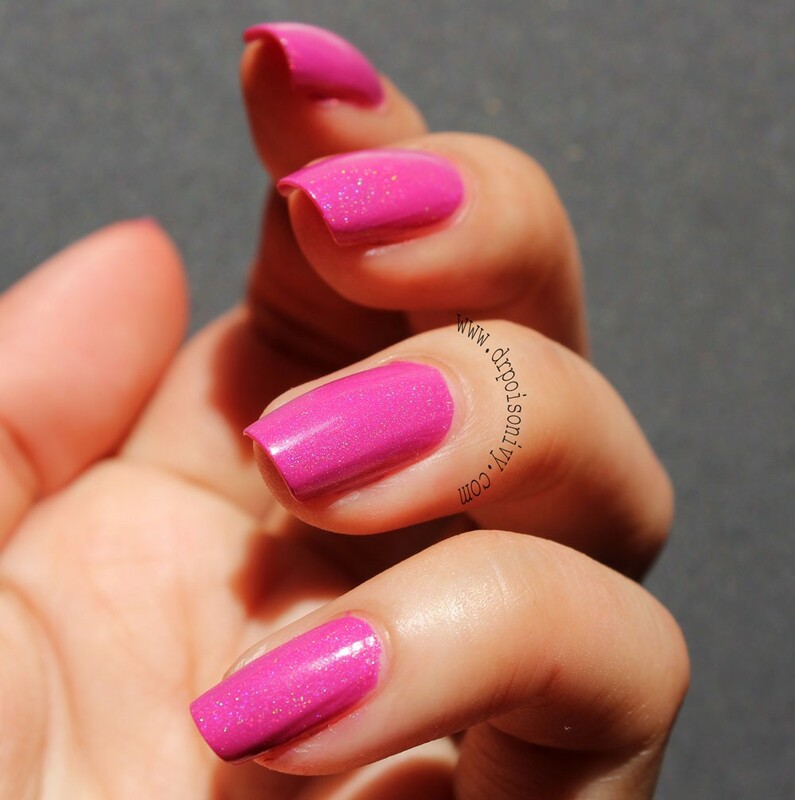 Summer Berry Sorbet is a Purplish Pink Holographic polish. This shade is a little less holographic as compared to the other 3 shades. Nonetheless has a mind of its own and looks really yummy. Board Walk Empire is the brightest and most holographic polish in my collection. I can imagine using this for some Peacock Nail art. The color is royal and majestic. Wow I like them all but especially the Freak Sauce - cool as! Beautiful swatches, I loved both freak sauce and board walk empire !